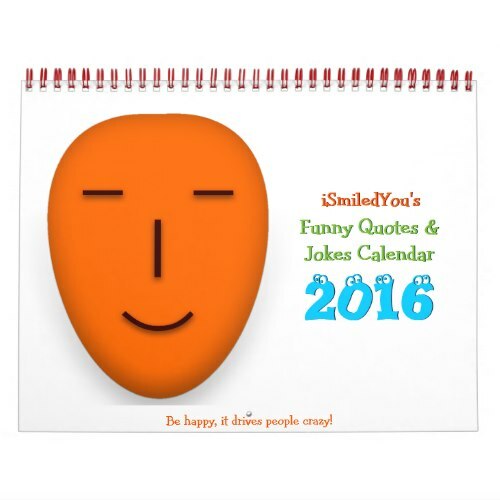 Funny, hilarious, fun, customizable 2016 calendar, showcasing the best of iSmiledYou's funny quotes & jokes, to have you smiling throughout the year. Great calendar to have some humor around you at all times. 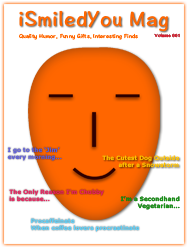 Enjoy the jokes with friends & family, colleagues and co-workers. A fun calendar for your room, dorm room, office cubicle, your favorite wall. Makes a great holiday, christmas, new year's gift for your kids, friends, family, and yourself.